I ’ll admit it. I was skeptical when a friend suggested we eat at a vegan sushi restaurant. As I’ve mentioned in previous reviews, I’m not much on raw fish, but vegan? I trust my friend and went along for the experience without much hope of enjoyment. I’ll also admit that I was so wrong. This place rocks! The interior is simple, yet beautiful. It’s the sort of place that welcomes you the minute you step inside. The staff is attentive and treats you as if you are part of the family – big kudos for this. There isn’t any attitude and you won’t feel as if the staff doesn’t want you there. The shoyu ramen was one of the best things I’ve ever eaten. It’s flavorful, and beautifully presented. This is worth the trip alone. Other highlights of the evening included the tempura shiitake mushrooms stuffed with house-made “crab” meat and matcha sea salt. The futomaki roll was loaded with tofu, spinach, mushrooms, kanpyo and inari. 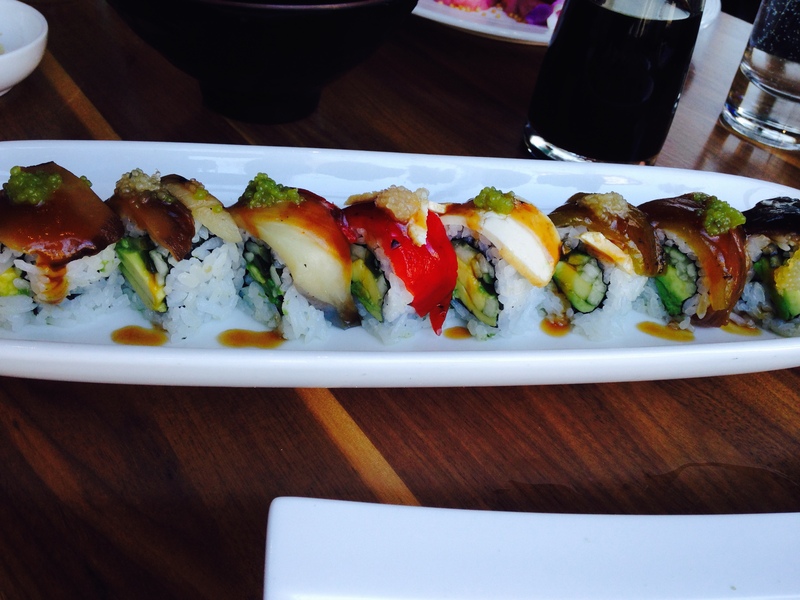 The combinations of flavors in this one was in my opinion one of the best of the rolls. 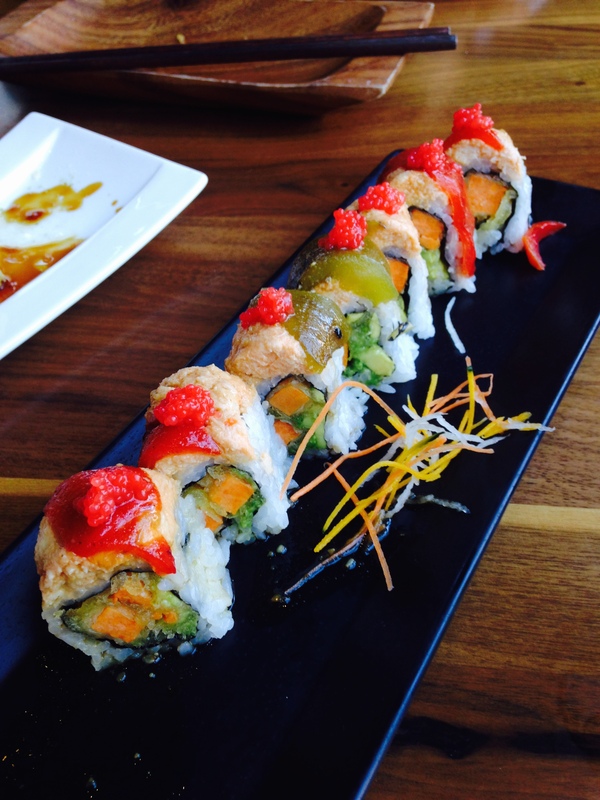 Shizen Vegan Sushi is a must be sort of place. Try as this little doggy did, words cannot adequately describe the subtle textures and flavors of just about every thing that is placed in front of you. Don’t let the word “vegan” deceive you. This place is sublime. You won’t ever miss the fish.